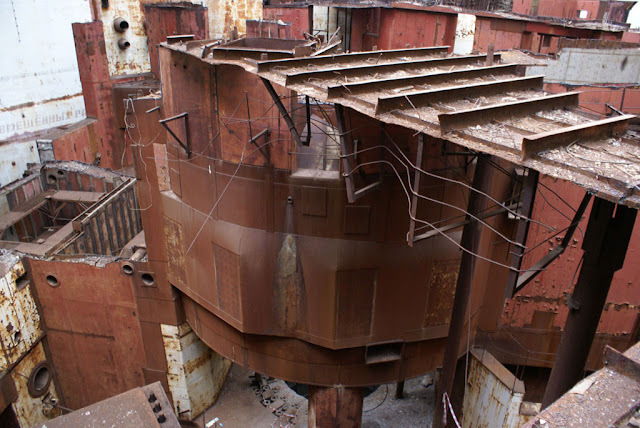 I recently "discovered" with great surprise this amazing site on google earth, and was equally amazed by its story. 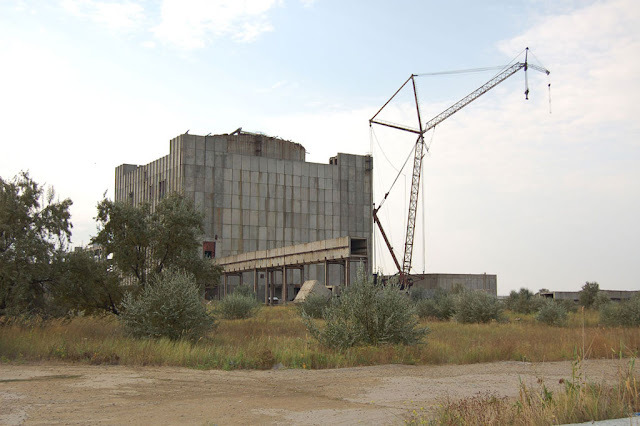 The unfinished "Crimean Atomic Energy Station" (Ukrainian КримськаАЕС, Russian КрымскаяАЭС) was supposed to be a new nuclear power plant for the region of Ukraine's Autonomous Republic of Crimea. 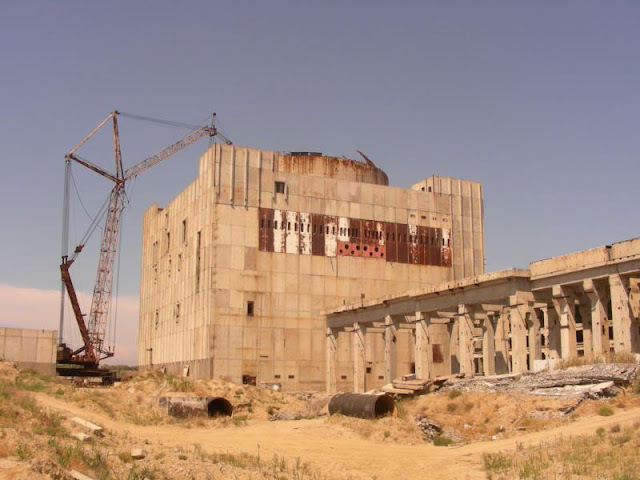 It's construction started in 1976 when Crimea was part of USSR. 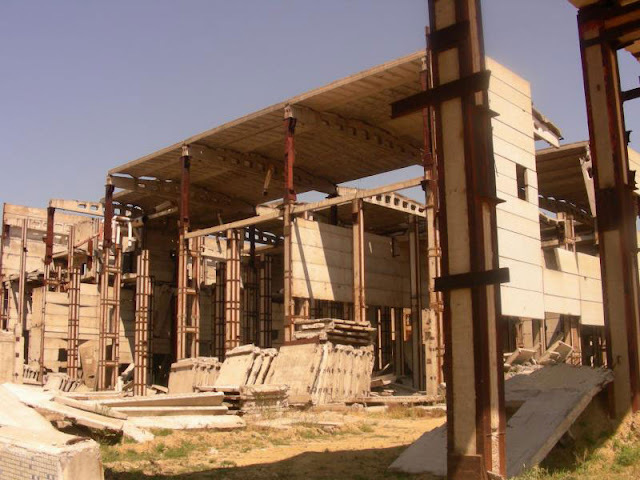 What exactly happened is unclear to me, it seems that the construction lasted almost forever (more than 10 years). 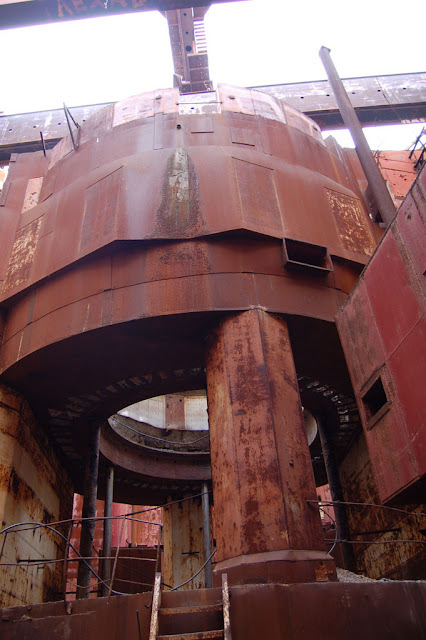 Between 1986 and 1989 the station was inspected following the Chernobyl disaster, and was found to be located on a geologically volatile site. 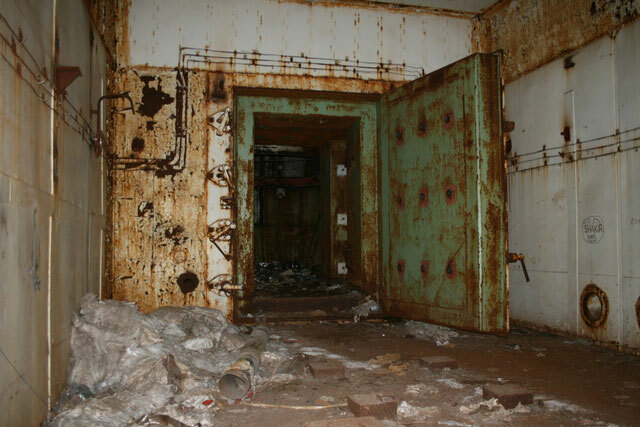 Construction of the facility was summarily abandoned. 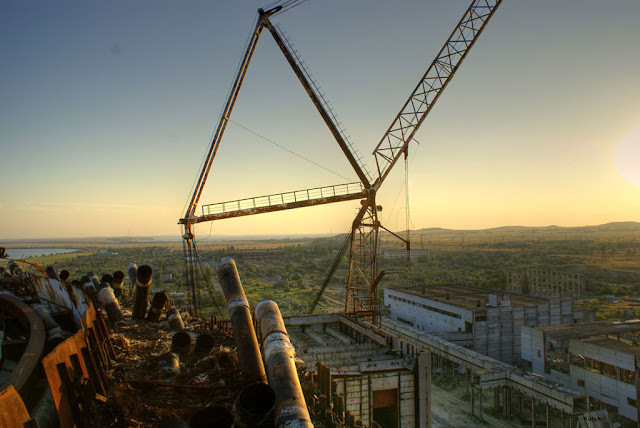 All the construction equipment was left on the site, I suppose that the situation of the weakened Soviet union plays a role in this messy situation. 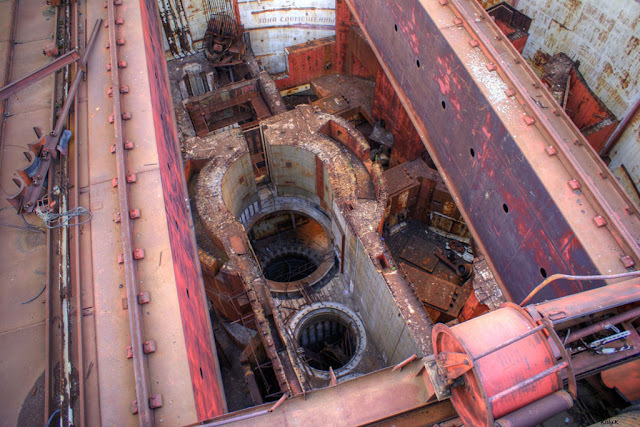 Part of the nuclear reactors were shipped as spare parts to other nuclear plants of Ukraine. 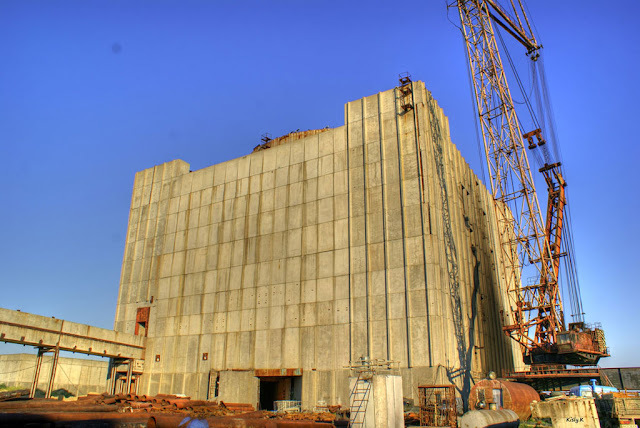 The building of the nuclear power station entered into the Guinness book of records as the most expensive reactor construction in world history. 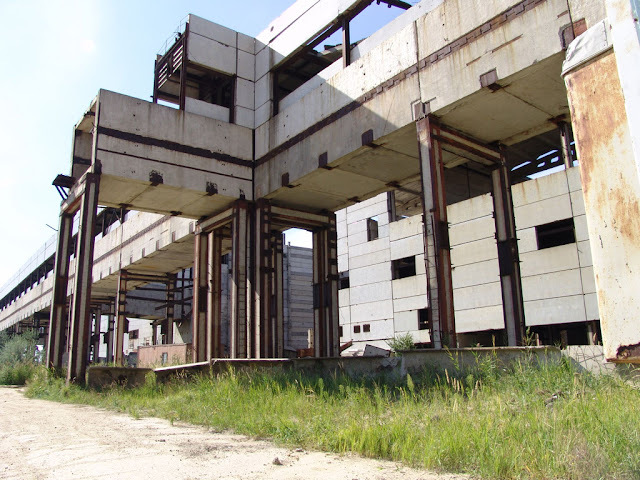 The nearby city of Shcholkine also commonly known as Shchelkino or Shchyolkino by its Russian name, was constructed in 1978 to house workers of the power plant, the town population was later divided by 2 after the project halted. Hey, was just introduced to your site by a friend. Gorgeous, interesting, spooky stuff you've got here! I'm adding you to my favorites and I'll definitely be back. Keep up the good work! 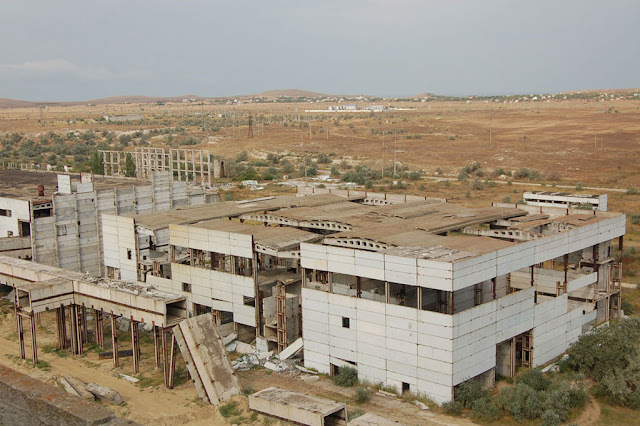 here at spain we have an unfinished nuclear power plant too. this in particular has a deadly story background, involving terrorism. still today, we spaniards are paying this nuclear plant (among other two) in our monthly electricity receipts. i can send you a couple of pics if you want. 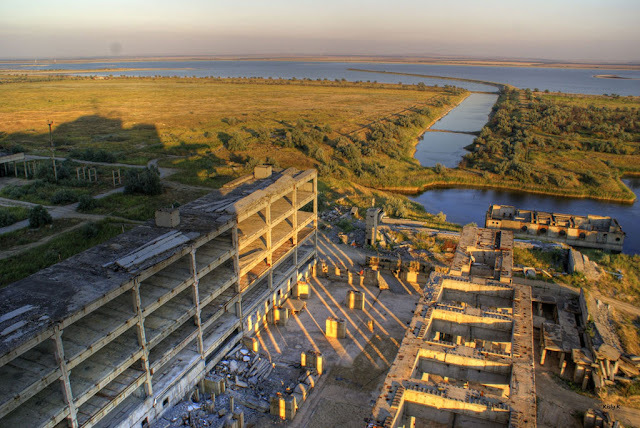 I work with a collage from Ukraine and he told me that for some years this abandoned power plant was used for a thecno-dancing music festival. 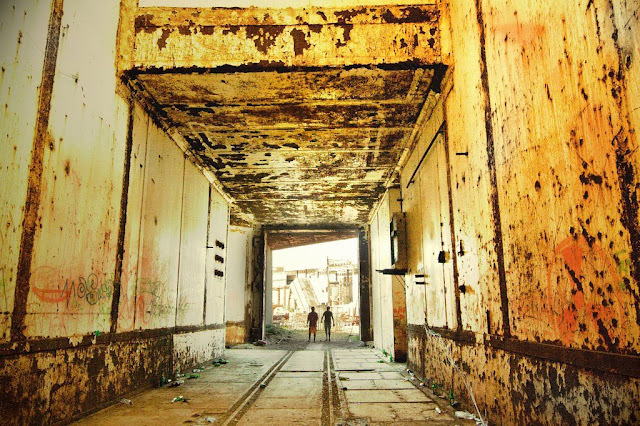 He said that the festival was "abandoned" in the year 2002.. 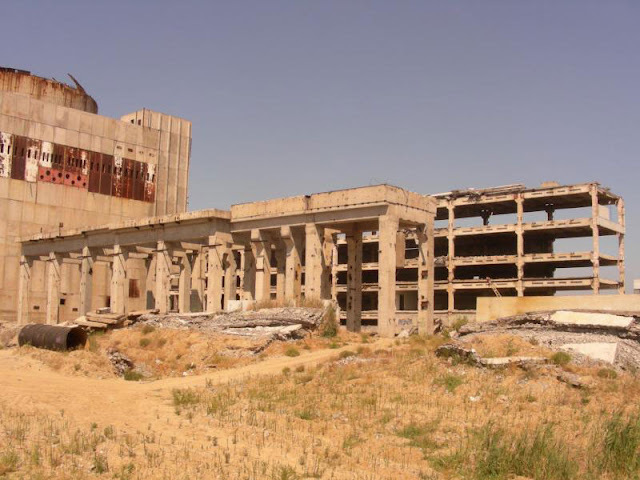 There is another nuclear plant here in Spain that was never finished, its on Lemoniz, Vizcaya.